Family at Sebastian Inlet State Park called police after a man allegedly threatened them with a gun. 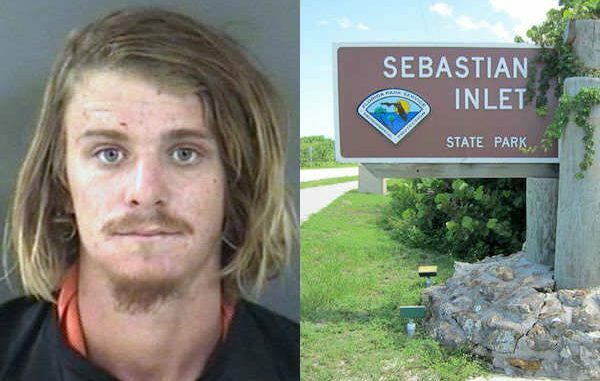 SEBASTIAN – A 26-year-old man was arrested after he allegedly threatened a family at the Sebastian Inlet State Park with a gun. Dustin Rae Baird was charged with aggravated assault with a deadly weapon, according to the Florida Fish & Wildlife Conservation. The caller contacted police from the park about 10:30 p.m. Monday after Baird allegedly threatened them with the gun and began using racial slurs. Baird initially approached one man while he was casting a net and told him, “Everybody and their mother or brother is throwing cast nets,” according to the affidavit. To avoid the suspect, the man moved to another location, but he said Baird later approached his nephew in the public bathroom and yelled racial slurs at him. When the man entered the bathroom, Baird “yelled to his girlfriend to ‘bring his bat,'” and said, “That’s why I carry my .38,” according to the report. Then, Baird’s girlfriend walked into the bathroom and acted as though she were handing him a weapon. The man believed Baird’s girlfriend had given him a gun, according to the FWC. The arrest affidavit said the man called 911 after his girlfriend and two children exited the public bathroom facilities. Even after they exited the restroom, Baird, his girlfriend, and another man continued to use racial slurs as they sped away in a red minivan. However, they returned to the park to retrieve their cigarettes where police stopped them, the report said. Police did not find a gun. However, he was still arrested and charged with Felony Aggravated Assault With a Deadly Weapon. 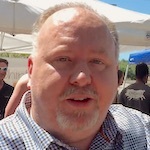 As of Wednesday afternoon, Baird remained at Indian River County Jail with a bail set at $1,000.